This information is for PATTERN ONLY. NOT THE FINISHED PRODUCT! 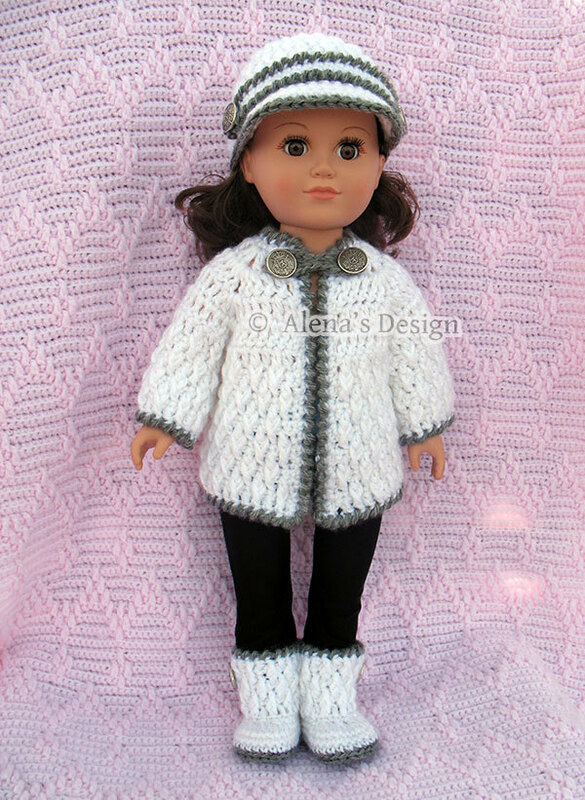 * This pattern set is to make a jacket, boots and hat for American Girl or similar 18 inch doll. G6 (4.00mm) and F/5 (3.75 mm) crochet hooks. Six buttons, about 3/4" (19 mm). 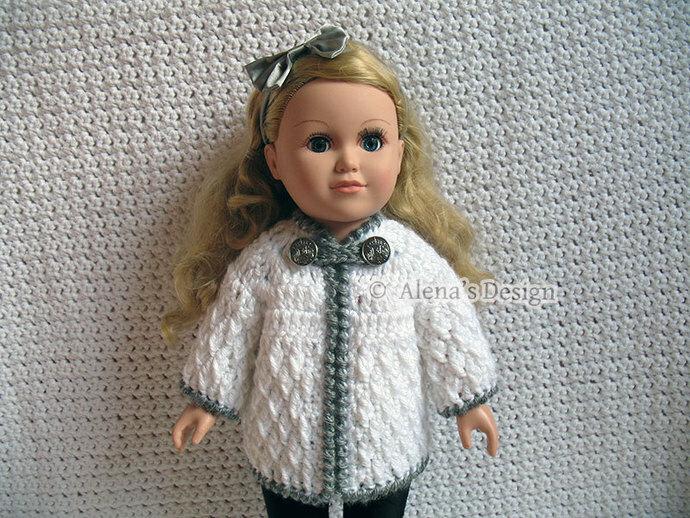 * All my patterns include required skill levels, sizes, materials, gauges, finished measurements, stitch abbreviations, stitch counts and pictures. 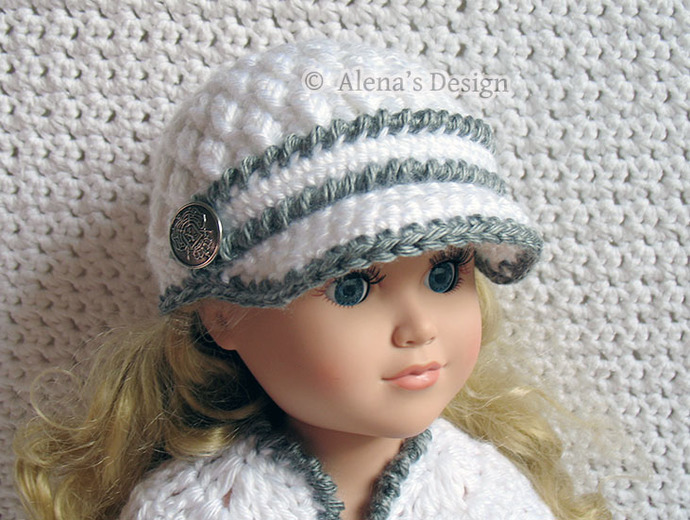 * Also, the pattern includes Photo Tutorial to supplement the written instructions. 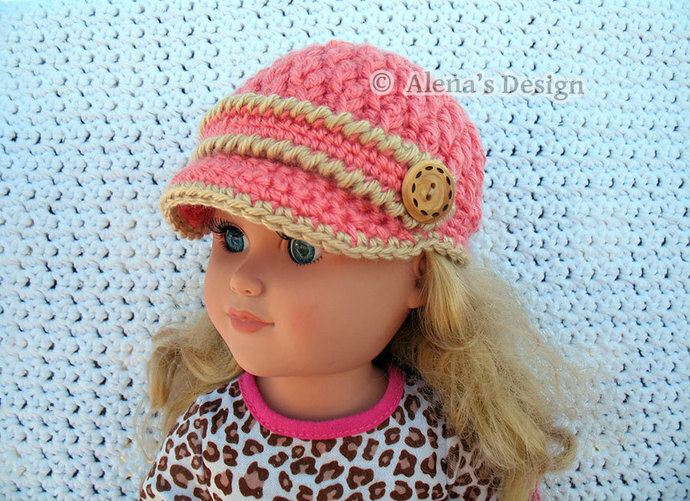 You have my permission to sell the finished product if you will credit me for the pattern with a link to my shop: http://www.AlenasDesign.com when listing or selling the items made from patterns. 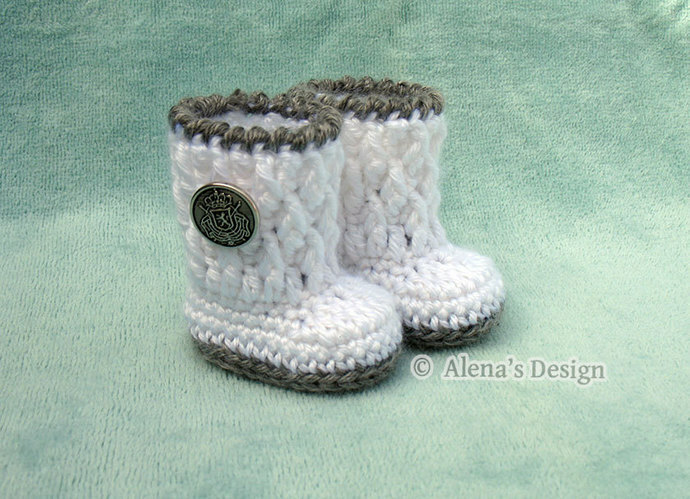 Alena's Design patterns are protected by copyright, you may not rewrite, photocopy, redistribute, or sell the patterns in any form.